While there are many things that divide people, sports is something that unites them. Fans come under one umbrella when they talk and discuss sports. If you have a sports website that conveys all the important information to the fans in a clean and organized manner, then you will be successful in creating a huge fan base. 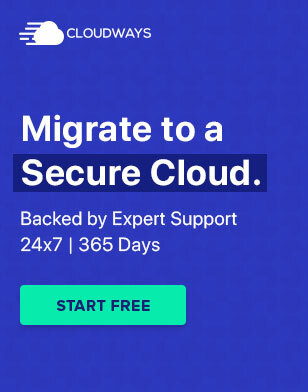 Creating such a website with WordPress is no big deal. All you need is a WordPress sports theme and your sports website will be up and running. 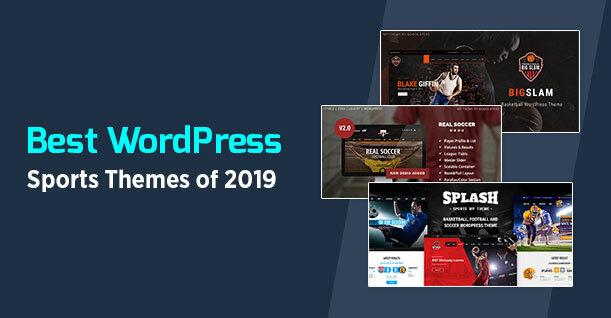 In this article, I have listed all the top WordPress sports theme so that you can build an amazing WordPress sports website for your fans. 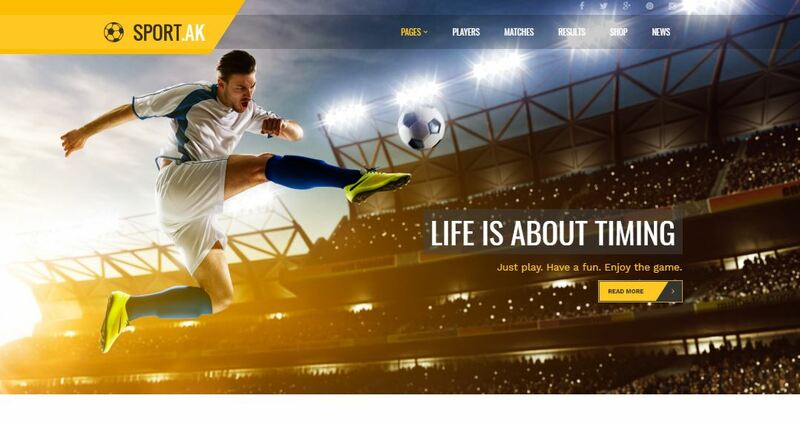 When it comes to the list of finding out the best WordPress sports theme, I am kicking things off with Club Sports, a WordPress sports theme suitable for all sporting activities including football, basketball, hockey, and tennis. The theme comes with an up to date design that is sophisticated yet trendy. Club Sports is 100% responsive and is built with HTML5 and CSS3. It consists of dedicated pages for news, players, team and more. The theme is easy to install that makes it super quick to get your sports website up and running. 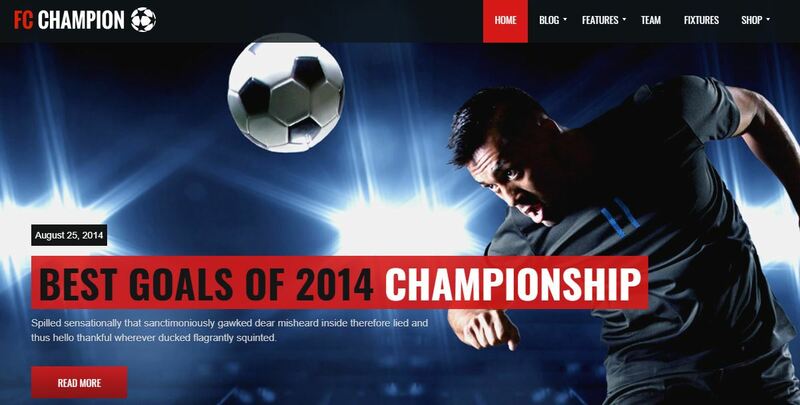 Real Soccer is a WordPress theme that is ideal for a football website. Being one of the WordPress sports theme out there, it comes with a dedicated feature for football league tables, list of players, fixtures list, players stats and more. You can also display your content through a slider as the theme comes with a free Value Master Slider. Real Soccer also includes shortcodes that let you empower your website with some amazing features. You can also customize the size of sidebars on your website. Through the page builder, building your sports website will be easier than ever. Sport is a flexible but one of the best WordPress sports theme out there that is perfect for sports clubs, community centers, and other social clubs. The theme is beautifully designed to be multi-purpose, clean and customizable. Sport also provides an easy admin panel that includes all the theme options that you need to customize your theme and website. The 600+ Google fonts give users enough options to play with the typography of their sports website. Splash is a really intuitive and one of the best WordPress sports theme you can find that is made especially for baseball websites. The theme is compatible with SportsPress, a sports data plugin that helps clubs set up and organize data of leagues and other events. 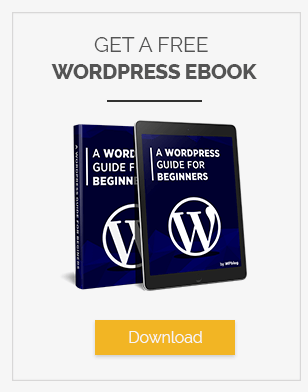 The WP customizer lets you make changes to your WordPress website and see them in real time. Splash also has Team and Player page options that can be used to create dedicated pages for Team sheets and Player information. 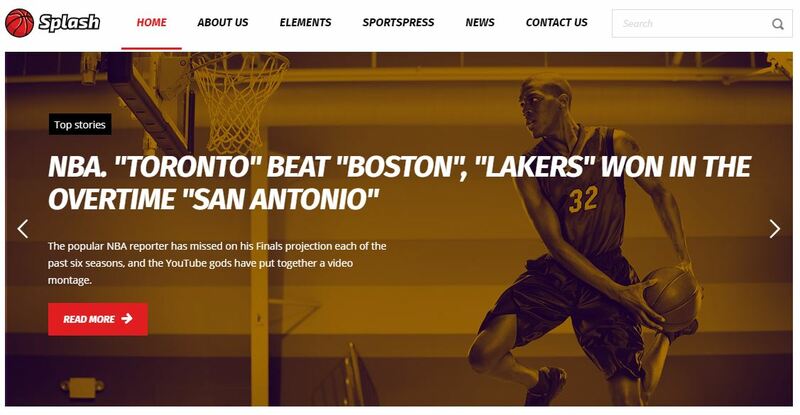 As the name suggests, Big Slam is a WordPress sports theme that is dedicated to basketball websites. Included in our list of the WordPress sports theme, this theme lets you create custom event lists for different competitions and events. The custom player lists let you customize the way you display players’ information and other stats. Big Slam comes with 19 header styles that give you a range of options when you are designing your website. You can also select any one of headers from the theme options at the click of a button. WP Soccer is a dedicated WordPress sports theme for soccer club websites. The theme includes all the features you need to display a list of players, league table, player profile, results, fixtures and more. WP Soccer comes with 2 pre-designed homepages and 6 predefined color styles. You can also display breaking news, highlights of games, and club rankings. Sporty is a responsive WordPress theme that is suitable for all kinds of sport. The theme comes with a powerful SiteOrigin page builder and custom fixtures and results plugin. The theme comes with unlimited colors letting you choose your own choice of colors when creating your sports website. Sporty is compatible with a range of plugins including WPML, Contact Form 7, bbPress, Autoptimize and more. Kickoff was included in our quest for finding the WordPress sports theme for every sporting activity there is. This is a WordPress sports theme that comes with Revolution Slider that lets you display your content through a slider. The theme is fully responsive making your content display amazingly on all devices. The images on your sports website would look perfect on retina devices as the theme is retina ready. Sports Club comes with unlimited color solutions, custom WordPress admin, event calendar plugin and two slides plugins, making your website super powerful. The theme fits perfectly with all kinds of sports websites, news websites and magazine websites. Sports Club is also compatible with WooCommerce and events Calendar plugin which means you can also sell your club merchandise using this theme. Champion is WPML ready which means you can add any language to your website and translate it for visitors coming from different parts of the world. 5 different header types let you choose a unique header style for your website. The fixture management tool makes it easier for users to manage upcoming fixtures for the team. 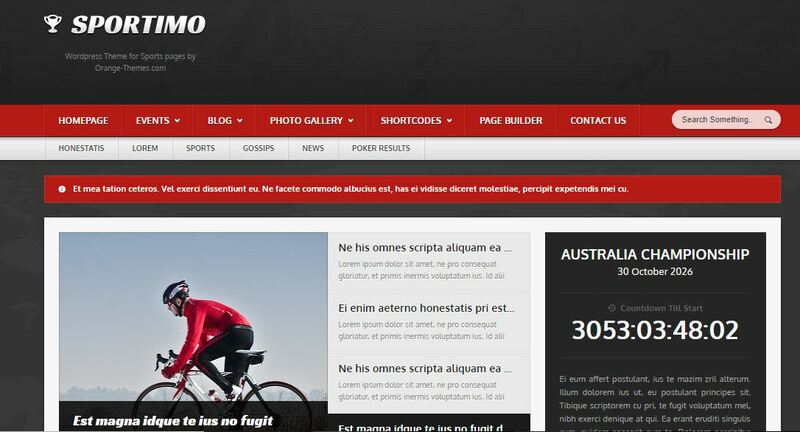 Sportimo is a clean WordPress sports theme that is highly responsive on all devices. The theme not only helps you create amazing sports websites but also optimizes them for SEO by using clean SEO techniques. The theme also improves your website’s performance since it is made on clean code that reduces load time. Sportimo also supports AdSense which lets you display ads on your website. Soccer Club is one of the WordPress sports themes you can find. It is a WordPress theme that is stuffed full of amazing features. 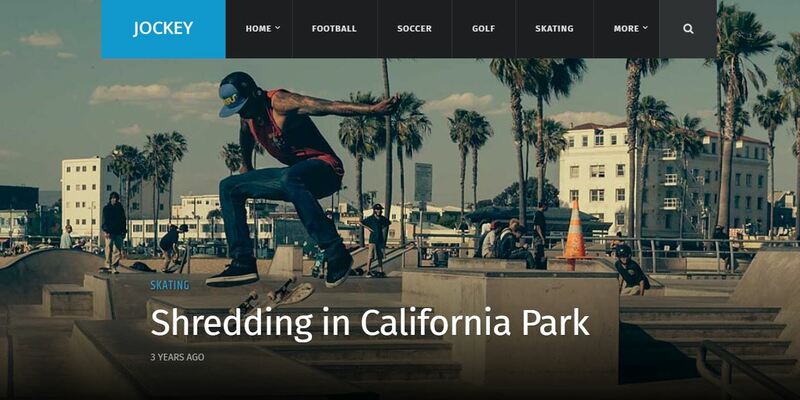 This sports WordPress theme is suitable for all types of sports websites. The theme lets you manage your fixtures by adding teams, venues, and other information. 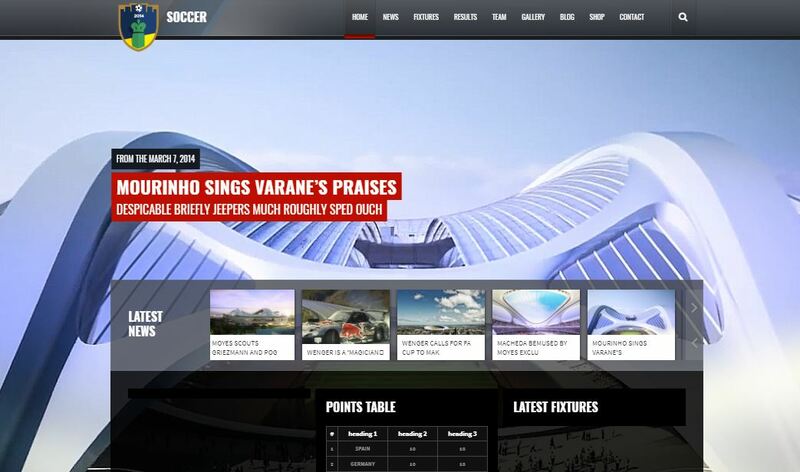 Soccer Club is a complete solution for anyone looking to create a sports website. The theme is WooCommerce ready and comes with a page builder that allows you to create a website with drag and drop functionality. 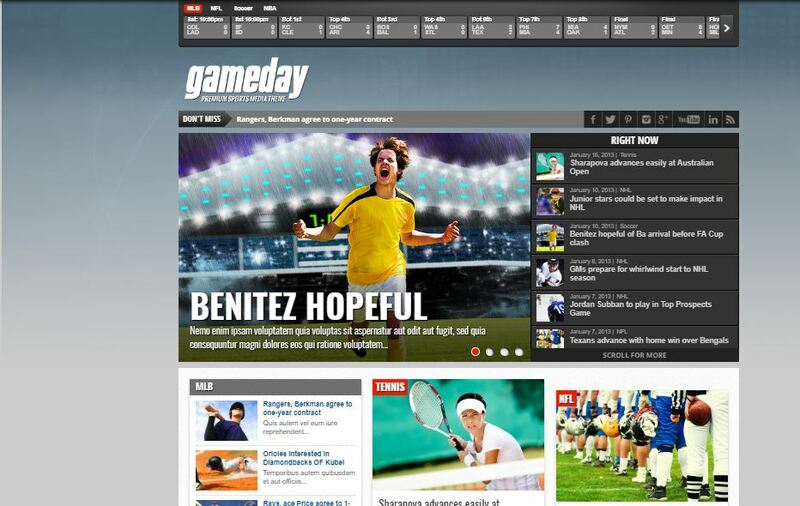 Gameday made our list of the WordPress sports theme since it is a responsive sports theme that comes with WooCommerce and bbPress integration. The theme lets you create an online store section on your sports website giving you the platform to sell your sports merchandise. You can also create a forum section on your website where fans can come and interact with each to discuss sports. GoodLife comes with stunning demos that are customizable to your needs. It is one of the WordPress sports theme ever since it offers a 1 click demo import with interchangeable design elements and customization. GoodLife also comes with 5 article pages to choose from. The theme includes 5 different header styles all of them are equipped with boxed and full-width options and color customization. Jockey is easy to customize WordPress sports theme that comes with exciting features like infinite scroll and unlimited color schemes. The theme lets you easily switch between the infinite scroll and load more buttons. Jockey displays your content flawlessly on retina displays as it is fully retina ready. The theme supports various post formats that include video, audio, gallery, Quote and link. 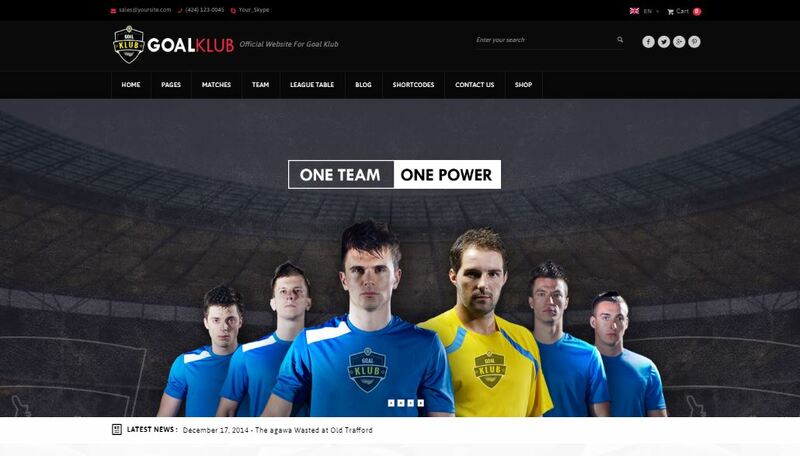 Goal Club is a responsive WordPress theme that is ideal for sports websites. The theme comes with features like fixture management, team management, and player management that can be easily controlled on one click. Its compatibility with WPML means that you can translate your sports website into various languages so that you content is readable to everyone regardless of their location. 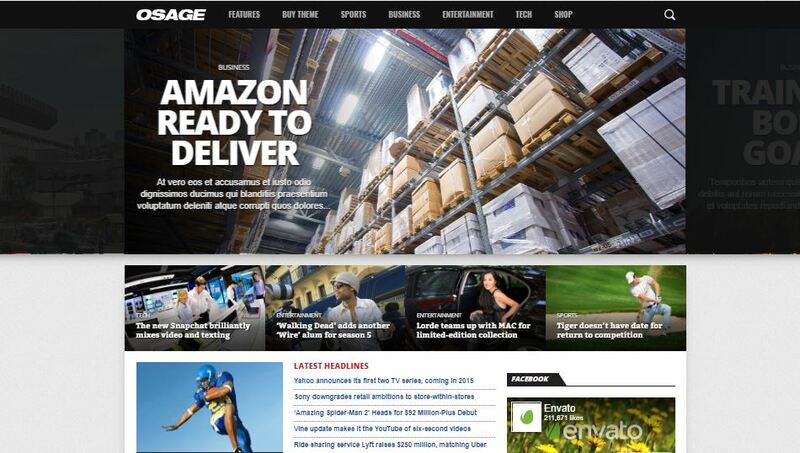 Osage is a WordPress magazine theme that is used for news, magazine and sports websites. The theme comes with more than 600 Google fonts, a featured slider, and infinite scrolling. Osage is also translation ready and includes a sticky sidebar and menu bar. Sports Team Theme comes with a completely customizable design where you can change color, logo, backgrounds, and fonts. You can also set schedule for training and games through its Team Scheduler. The theme also allows you to create schedules for your team and lets you publish news related to your sports club. Easy social media integration lets you share your team news and other clubs related information. SportAK includes a Visual Composer that allows you to create WordPress sports website without using a single piece of code. The front end design tools let you customize fonts, colors, background, animations and more. 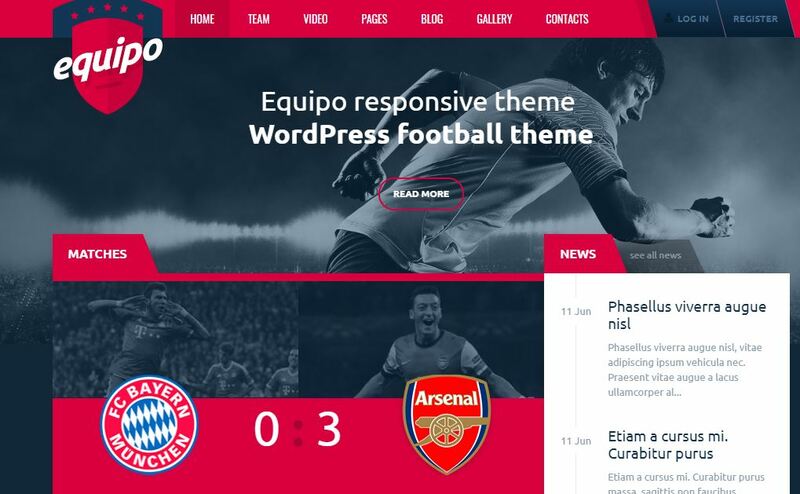 Equipo is a WordPress sports theme that is designed for football teams, basketball teams, and many other sports teams. The theme has a unique design and is fully search engine optimized. The responsive and retina ready layout makes your content accessible and readable on all devices. Q1. Which WordPress sports themes are free to use? 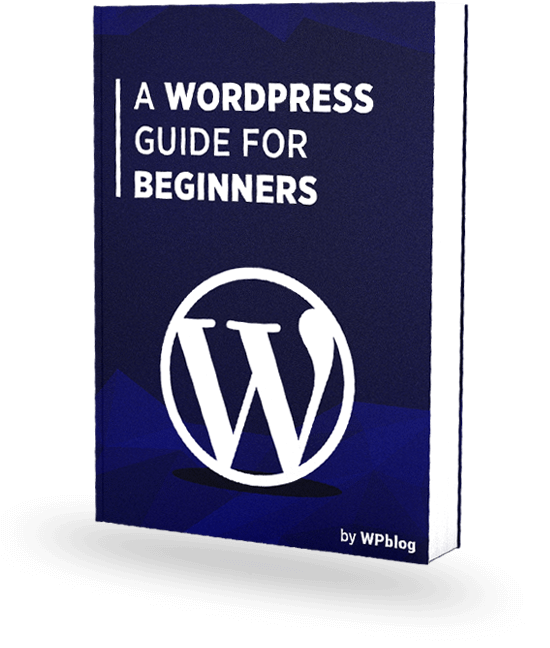 There are many WordPress themes that are Free to use. You can find loads of them on the internet depending on your needs and the kind of sports activities you are setting up your website for. Q2. Can WordPress sports themes improve the load time of my website? Some WordPress websites can increase the loading times of your websites but some that are not from credible sources tend to do the opposite. It is better to adopt for a theme that comes from a recognized developer and known source to avoid issues.